Jim was not disappointed by his choice of David Bowie as Jareth, the Goblin King. 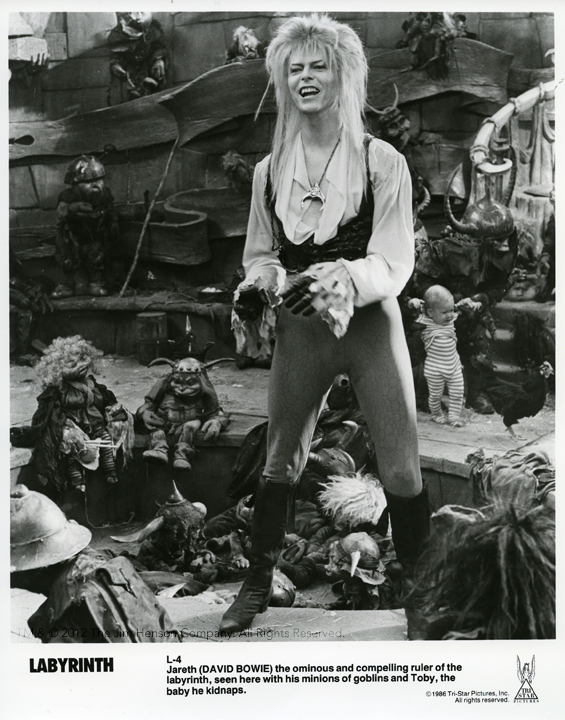 Late in the shoot, Jim told his staff that Bowie had, “added a truly magical spark as Jareth.” His tall, lean presence was a perfect contrast to Brian Froud’s earth-toned and compact goblins, highlighting their delightful design and eccentric personalities. Creating this population was a joy for Froud, and his imagination was overstuffed with a diversity of goblins. 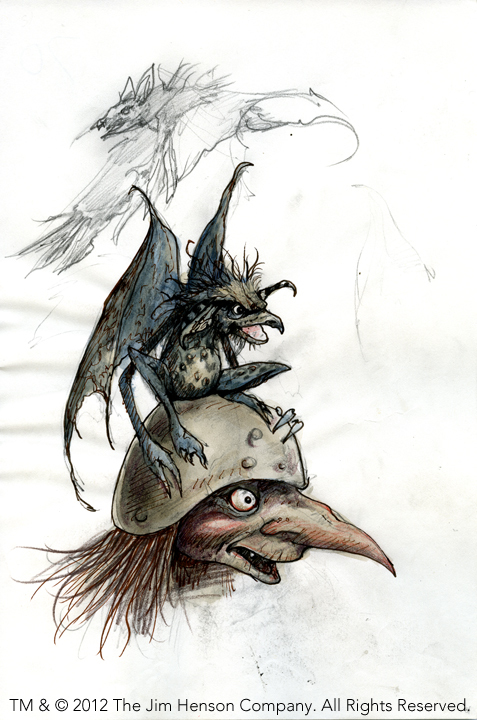 Inspired by the drawings and etchings of northern European artists like Albrecht Dürer, Froud produced page after page of sketches. Collaborating with screenwriter Terry Jones, he compiled a goblin catalogue complete with clever names and descriptions. 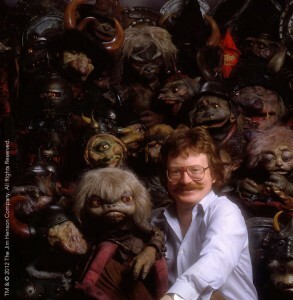 Published in 1986 as The Goblins of Labyrinth, it gave readers a window into the depth of the film’s creative thinking. See footage from the film. 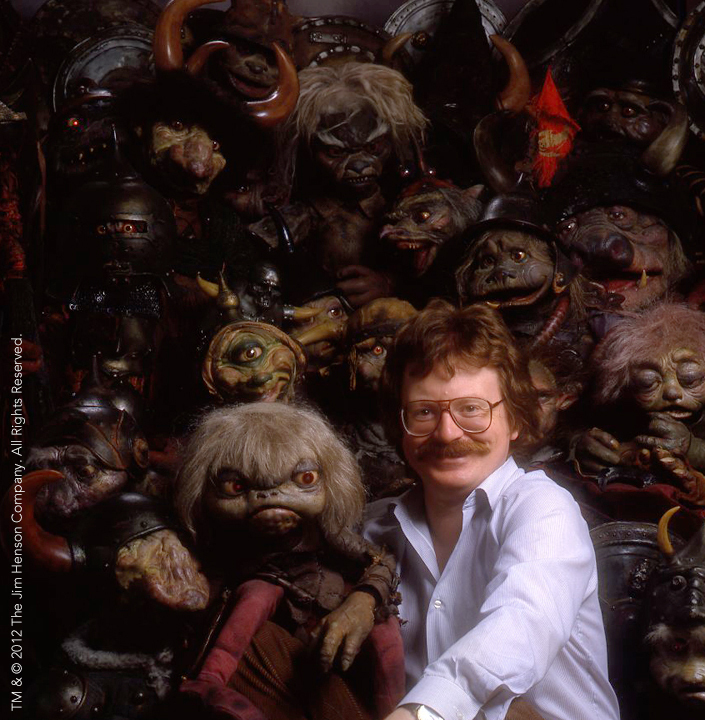 Brian Froud with some goblins. David Bowie with some goblins in Labyrinth. This entry was posted in 06-June '85, 1985, Labyrinth and tagged Albrecht Dürer, Brian Froud, David Bowie, Goblin King, goblins, Jareth, Terry Jones, The Goblins of Labyrinth. Bookmark the permalink.